Year started modelling: Started flying .049 control line models in 1960. In high school, I built a single channel R/C model controlled by a rubber band escapement. Bought my first proportional radio in 1972: a 7 channel Heathkit single stick. It cost $350 back then. Radio prices haven't changed much in 40 years. Joined Stetsons: Joined Stetson Flyers in 1980 when George Locmelis was President. I was voted President in 1981 and was followed by Dave French in 1982 when I was posted to Toronto. In those days, we met at the Normandie Hotel and our flying field was situated where Fallingbrook is today. I rejoined the Stetson Flyers in 1985. Our field was at the Navan Receiver Site. We lost that site a couple of years later and I joined a group of modellers who had permission to fly in a field northwest of Trim Rd and Hwy 17 (now Hwy 174). We flew there until the late 1990s when a road was built under our overfly area and Hwy 17 was widened into a 4-lane divided highway. Around 2000, I rejoined the Stetson Flyers for the third time. Gerry Nadon was the President at that time. Current Favourite Model: They are all my favourites until they crash. Then I buy a new ARF. Love those ARFs. Sure beats spending an entire winter building one model. Other interests: My wife and I spend half our days at the cottage. I do the usual cottage activities such as snowmobiling, boating and flying R/C floatplanes on the lake. I also have a couple of electric R/C speedboats which my son and I like to race when he comes to visit. My three grandsons are also getting interested in R/C. 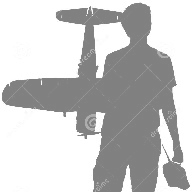 I am an active private pilot and have built two homebuilt aircraft. I completed and flew my Steen Skybolt in 2009 and sold it in 2011. I keep in touch with the new owner and the Skybolt with regular visits to Peterborough Airport. My current project is a Van's RV-9A which I am looking forward to flying in the summer of 2014. My base of operations is EAA Chapter 245 at Carp Airport. 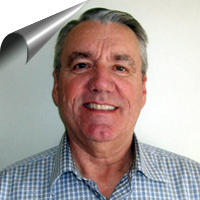 Bio: I joined the Canadian Forces in 1967 and graduated from the Royal Military College in 1971 with a degree in Mechanical Engineering. Resigned from active service in 1988 and spent the next 20 years working for Transport Canada, first in Airports Group and later in Road Safety Group. Retired in 2008.